When I told Pete Rosky, Assistant Product Manager at Majesco and curator of my Double Dragon Neon demo, that I had never played a Double Dragon game he said “Great! I’ll tell you as little about the game as possible then.” Confused and incredulous, I asked why. “I’ve never gotten to do this presentation with someone who hasn’t played a Double Dragon game before, it’s a whole new perspective.” Knowing then what I know now, I would have understood that Double Dragon Neon is an “old soul” of a brawler, living a life in the present with a staunch respect for the past. Apparently, Double Dragon is kind of a big deal amongst brawler fans, so excuse me for those of you that I’ve offended by having not played the game. If it makes you feel better, I played this one and liked it. 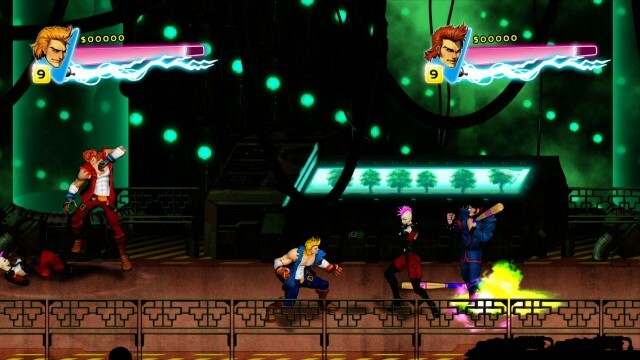 Double Dragon Neon is slow paced (which isn’t a bad thing, mind you) and all the character models are huge and for all the brawlers I’ve played this felt different. It’s a brawler that feels old, but looks new. I marveled at the eye-popping visuals and smooth animations, but the gameplay was nothing like the brawlers of today (because apparently it’s like the brawlers of yesteryear). Just like Majesco did for my demo, prepare for a preview from a different perspective. For this demo I got to play alongside the agent from Majesco sent from on-high to deliver me unto the 80s, and we’re told the coop will be drop-in drop-out. I played as the blue guy, whose name I never learned (I figure it’s probably Blue), and he played as the red guy, the two of whom are brothers. In the opening cutscene, some rude looking buff dude punched a woman who I assume is my (our?) girlfriend and absconded with her slung over his shoulder. Not cool bro! So we chased after him. Enemies filter in from the left and right side of the screen and carefully skate along the outskirts of the level. Women dressed as Dominatrices lashed at us with their whips, big buff dudes with afros threw bats and other objects, and we beat the crap out of them. So yeah. It’s a brawler. Proceeding through the streets was like every other brawler I’ve played, only everything seemed more pronounced; all the animations were very fluid, every move was decisive, every combo was painful. Unlike the slice-and-dice fest that is many Brawlers these days where the player has tons of health and lighting fast combos, I found myself actually… blocking. Of all things. It’s like braking in Mario Kart, I felt like washing my hands afterwards! Well at first, anyways. The gameplay felt unique for all its careful pacing. When dealing with tons of enemies, I couldn’t just shoulder-dash into every enemy I saw, couldn’t just spin kick into infinity or run away forever and throw things. The battlefield had to be navigated carefully and the rights targets picked. We made short work of the streets level boss, a ridiculously buff dude with spike bracelets and a bad temper. After that level we jumped to a bit later in the game where we were on a space ship (for some reason). This level had a lot more platforming challenges in it, but didn’t skimp on the bad guys either. After the platforming bits subsided (I think I died a good six times because the jump timing was still strange to me) we arrived in a rather large area which I assume was a cargo bay. Due to crappy maintenance work, the air lock door in the room was on the fritz. Whenever the door opened, everyone would be slowly sucked towards the door; if you flew out, you died. Doing long combos in this atmosphere wasn’t working out, but knocking guys into space was instantly rewarding. As we made our way to the main boss fight, Rosky turned to me and said “I don’t know if you’ve played Mega Man or not but…” and he jump-kicked through the door. The screen then panned left with his character floating in mid-air, foot outstretched, just like Mega Man. While we didn’t get to fight against the boss, that was a pretty cool throwback to wrap up the demo. 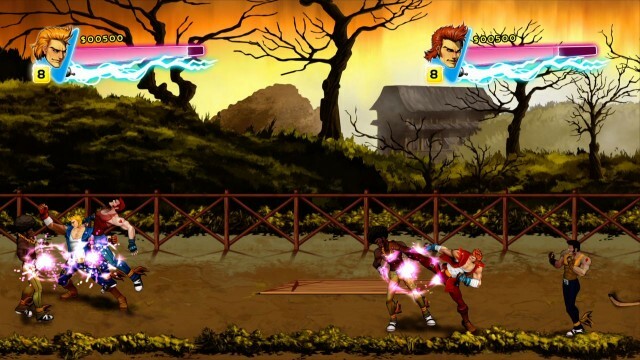 However, as stated earlier, Double Dragon Neon isn’t all nostalgia and 80s style gameplay. To keep the game feeling current, there’s a very interesting upgrade system wrapped in even more 80s style awesome. As you go through the game, you collect cassettes with different songs on them. Each song grants you bonuses or abilities when added to your “Mix-Tape”, which is essentially a loadout. We didn’t get to see this interface with our demo as we just got infinite fireballs, but the thematic twist really goes in the game’s favor. One mechanic I thoroughly enjoyed was the high five system. Not just because high fives are awesome and should be celebrated at all times for no reason, but because they (usually) provided helpful buffs. Hitting a direction on the right stick initiated one of four high fives including a stun, a large area attack, and one that even the amount of health between both players. The final high five was a bit of a game. Hitting down is a psych, if the other player hits anything but down, he takes a bit of damage. If both players hit down, however, they smack heads and both take a bit of damage. Silly, yes, but awesome. 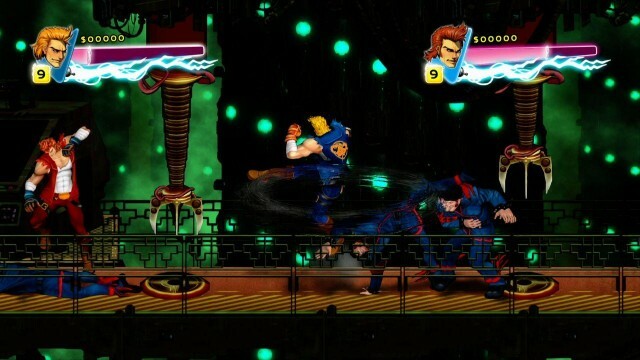 Double Dragon Neon isn’t the kind of brawler being released nowadays because it’s very much like the brawlers that have been out for over a decade. The new mechanics look to keep the game feeling current, but unfortunately we didn’t get to try them out. 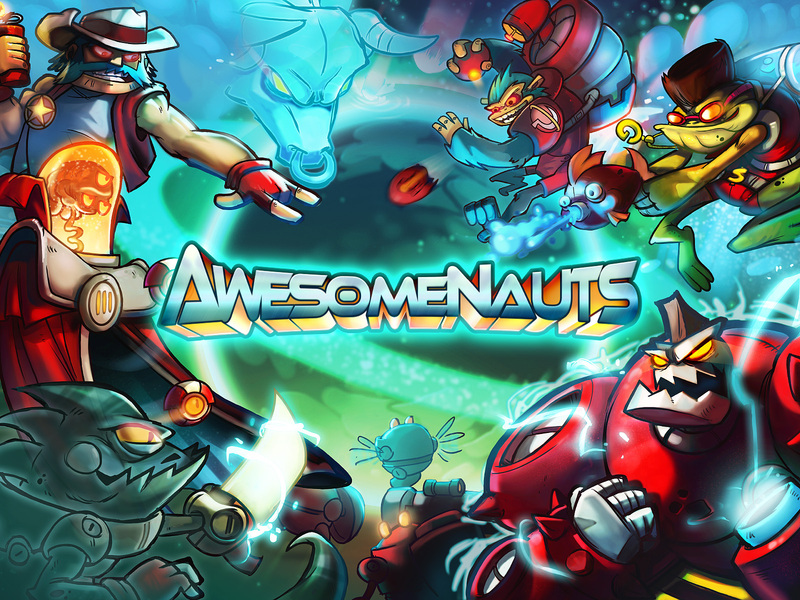 What we did play was a smooth, solid brawler experience. The visuals go a long way to give the game some extra pzazz with a bright, varied color palette and crisp animations. 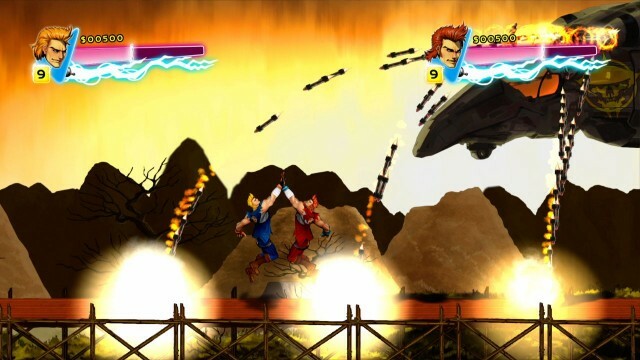 Double Dragon Neon arrives on Xbox Live Arcade sometime this Summer. 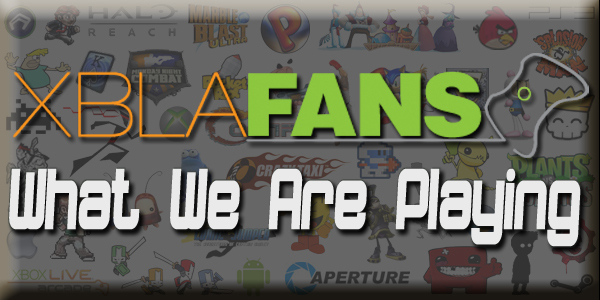 I've been writing off and on since High School and finally decided to try and write for a site; now I write for XBLA Fans. I'm a huge fan of breaking games down into their smaller pieces, and as such I do that as often as possible, with or without a sledge hammer. Writing is fun and I intend to have fun with my writing. And smashing.